Nothing is more heart wrenching than a sad and self-critical child. Children diagnosed with mood disorders often have undiagnosed underlying skill deficits that make them feel helpless and hopeless. Empowering them with skills and optimism is one of the most gratifying aspects of my work. 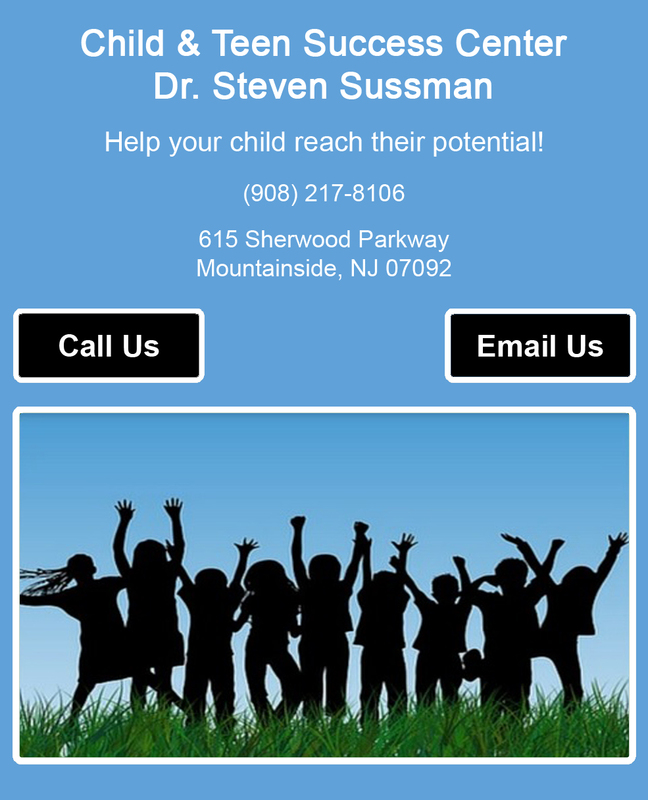 Dr. Sussman is a skilled and knowledgeable children anxiety attacks psychologist and academic achievement psychologist. He offers personalized children suicide counseling, teenage drug and alcohol addiction counseling, and counseling depression children. His greatest reward is reaching your child and helping them be successful at becoming the best version of themselves. Call today to schedule a consultation appointment. We are an experienced children anxiety attacks psychologist and academic achievement psychologist. Call (908) 217-8106 for children suicide counseling, help with teenage drug and alcohol addiction, counseling depression children, and more.